CSINTA rolls are the messengers of our manufactory. These are the most popular products of our selection. 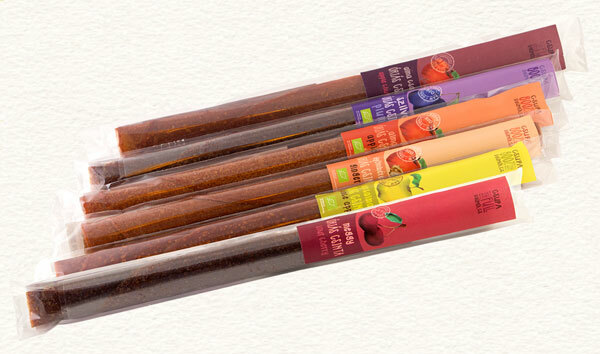 While it’s the smallest product, we have the widest range of fruit selection, because everybody likes them. Snack pack of 5 CSINTA rolls of the same flavor. Designed for the time when you already know which is your favorite, so you can pack one for each day of school. The CSINTAs are flexible, and easy to shape, so we created cones of the different rolls. and filled them with dried fruits like apple chips, plum, and sour-cherry. Exciting appearance, delicious and you can eat the whole thing. 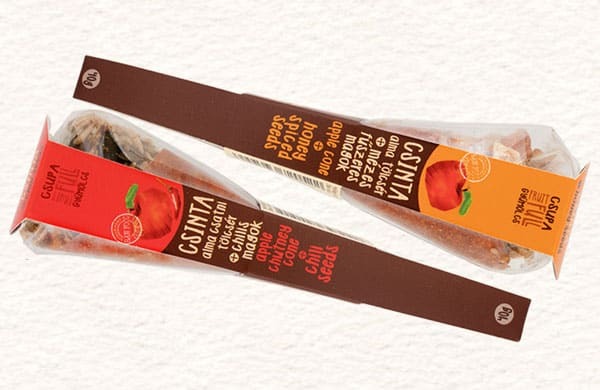 For those who like interesting spicy flavors, we suggest the apple chutney and ginger cones and the spicy seeds. The fruit cones are also perfect as gifts. We have a really big snack too, the Giant CSINTA . Although some kids can make it disappear as fast as the small ones, most of the time we use it for cakes, rolls or creating gourmet dishes. For those who like sweet flavours we suggest the Apple Cone with honey seeds. For those, who like spicy, The Apple-chutney Cone with chili seeds will be a good choice. 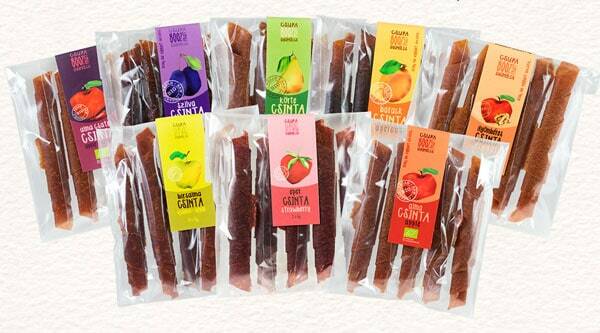 The vegetable Csinta's can be part of your diet because those are Organic, Vegan, Raw and Glutén Free. With this product we would like ti reach out for the adults. The Tomato Csinta with seeds is a beautiful snack for the day,we recommend it for those who like spicy. The Tomato -Basel Csinta besides being a nice snack, its a base material for cooking or creative raw dishes.